Important information in regards to our strength and weight training programs at NHS. Due to changes at the ARENA, they will not be managing our strength/weight training program needs effective Dec. 20th, 2018. Nevada CSD would like to thank the ARENA and their ANS program for making incredible strides in our athletic teams. The ARENA’s professionalism and high standards have set a high bar for our strength and weight training needs. The ANS staff will be planning to celebrate their successes with our student-athletes on Dec. 20th at 3:45 with any students that attend their final session. Every end creates a new beginning, and we are incredibly excited to announce that we will be partnering with Premier Athlete Training to service our strength and weight training needs. Premier Athlete Training operates out of Ames and is owned & operated by Ben Durbin & Ernst Brun, former ISU athletes. 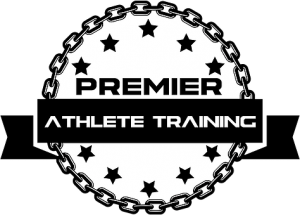 Premier Athlete Training coaches will be here for a program kickoff on Jan. 2nd during seminar. All NHS athletes should plan to attend the kickoff which will be followed by Premier Athlete Training’s first training session. An informational video about Premier Athlete Training can be found here.